The north London house where friends and family of Sarah Kyolaba, the last surviving widow of the Ugandan dictator Idi Amin, are to say their final goodbyes sits vacant and unattended. Neighbours on the quiet street in Palmers Green are unaware of the funeral that is set to take place there – perhaps a fitting tribute to Kyolaba, whose privacy masked a life of tumult and extravagance. Kyolaba arrived in Britain more than three decades ago and was latterly the proprietor of a modest hair salon in nearby Tottenham. She died aged 59 at the Royal Free hospital, in Hampstead, last week after a battle with cancer. 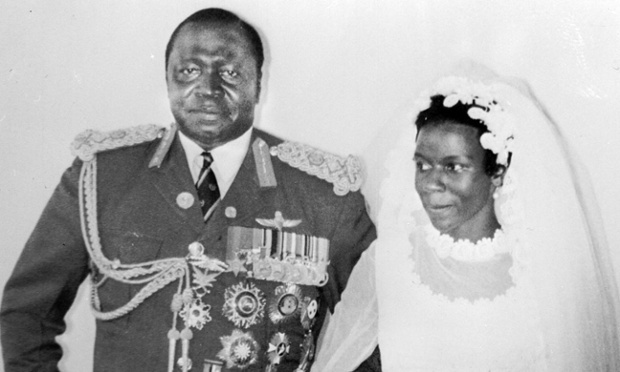 Kyolaba, Amin’s fifth and “favourite” wife, went by the title Lady Sarah Kyobala Idi Amin. 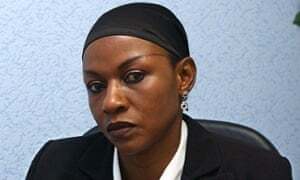 She was once nicknamed “Suicide Sarah” because of her former career as a go-go dancer for the Ugandan army’s Revolutionary Suicide Mechanised Regiment Band. Amin’s time as president between 1971 and 1979 was riddled with humans rights abuses and corruption, with an estimated 300,000 Ugandans murdered and thousands more Ugandan Asians expelled during his reign. Amin was forced fromUganda in 1979 and fled with his family to Libya and then Iraq, before settling for a life outside of politics in Saudi Arabia. Kyolaba had met Amin while she was in a relationship with another man in Masaka. On Christmas Day in 1974 she gave birth to a baby by her former lover and fiance. But Amin, who notoriously claimed to have fathered 43 children, declared the baby to be his own and ordered that the birth be announced on television. The fiance disappeared not long afterwards. When Kyolaba left Amin in 1982, she took with her the third of her four children, Faisal Wangita. She spent some time working as a lingerie model in Germany before settling in London. 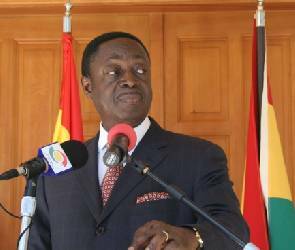 In recent years Kyolaba continued to defend Amin. Following his death from kidney failure in 2003, she said he had been a “true African hero” and a “wonderful father”.In 2007 Faisal was involved in the gang murder of an 18-year-old Somali man in Camden, and was convicted of conspiracy to wound. He was jailed for five years and later deported back to Uganda. She described herself on her Facebook page as the “former first lady of Uganda”, and displayed a black and white picture of the wedding. Shopkeepers in Tottenham remembered her as a very “nice and friendly” member of the community. Swaleh Lwanja said Kyolaba and her family would often come to his restaurant, and she rarely spoke about her former life. “I never sat down and had a chat with her about her past. I knew her as a friendly member of the community. Most people just knew her as a nice lady,” he said.